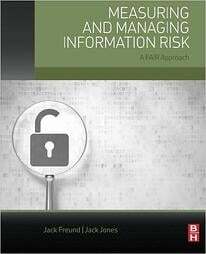 Inherent risk is an attempt to describe the importance of a business process or resource, essentially sizing the potential loss exposure generically. 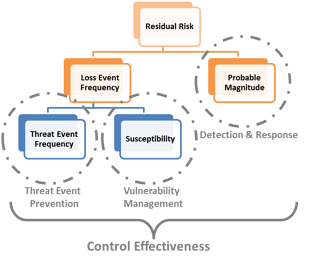 This abstract (and arguably artificial) concept doesn’t look at any one category of risk alone, or any single loss scenario, but rather tries to rank the potential loss exposure across all types of risk relative to other processes/resources. This ranking might inform assessment planning for the year, determine how deep of an assessment to perform, prescribe whether an onsite review of a third-party is required, etc. In our quest to perform our risk management responsibilities in a cost effective and efficient manner, this seems like a helpful concept … we’ll come back to this. The second use of inherent risk is really just a step along the way to determine residual risk. Typically, an inherent risk is determined (sans controls), then control effectiveness is separately assessed or tested, and then the two are combined to derive the residual risk. There are several challenges with this approach. The first is that you can never really consider risk exposure without any controls. There are so many controls that are already baked into the organization or environment, that one really can’t strip them all away. Even with a brand new venture or project, this is difficult to conceptualize. Another challenge is that the typical inherent risk is a mashup of many disparate scenarios all combined into one rating. Then a set of controls are assessed, generating another separate rating, and these are combined. However, not all the controls assessed are even relevant to each of the scenarios implied in the original inherent risk rating. So you end up with a very shaky connection between the two. So how might FAIR help? One approach the workgroup discussed was leveraging the Susceptibility factor (also referred to as Vulnerability) in the FAIR ontology to approximate the concept of risk without controls. Essentially what you’re doing is forcing the threat events to be 100% successful, and assuming the worst case for probable magnitude. In other words, you’re assuming that every natural opportunity for a loss event is successful. This gives us enough information to make our initial risk assessment prioritization decisions. Using this example, stronger controls means a lower probability of threat success. 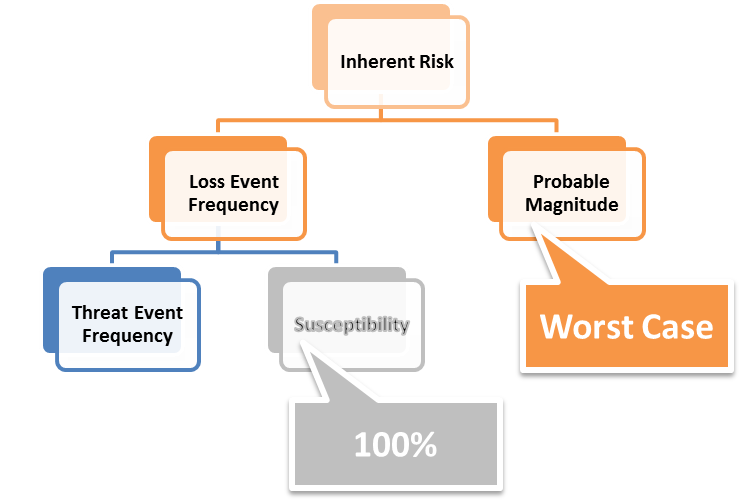 Weaker controls indicate a higher probability of threat success. If the given control operates as expected only 2 out of 3 times, then it would be labeled as “Average” in this example. For example, applying additional detection controls will lessen the probable magnitude, but doesn’t change the loss event frequency. Conceptualizing it in this way should help inform which levers you can pull, and most effectively mitigate risk to an acceptable level. If you found this topic interesting and would like to participate in future discussions, please consider joining the FAIR Institute’s Operational Risk workgroup. A recap of this call is available for on-demand viewing in the Member Resources Center. The next call is on February 28th at 4:00 pm ET.